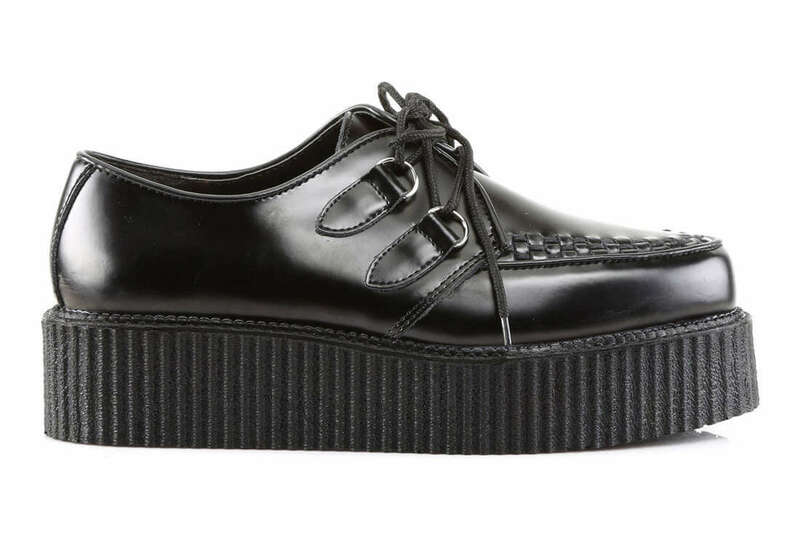 These black leather creepers by Demonia have a 2 inch platform, standard D-Ring lace-up and interleaved toe. 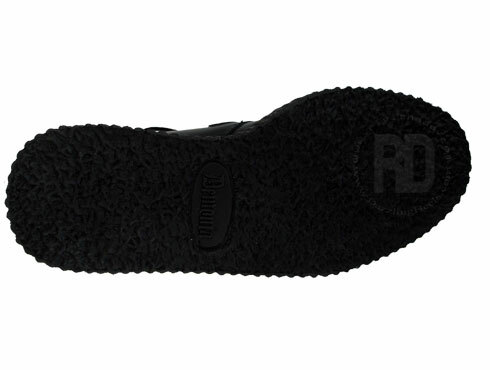 The Creeper-402 also has a hidden coffin compartment in the sole. 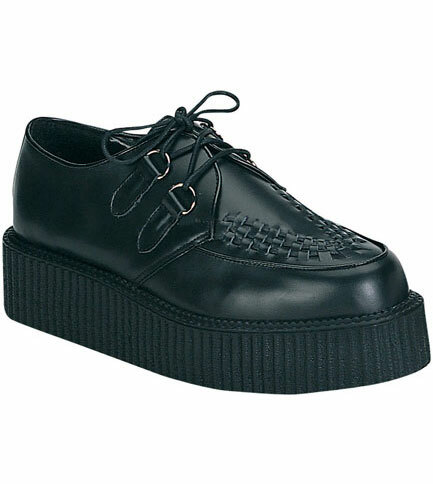 They are a great looking pair of creeper shoes. 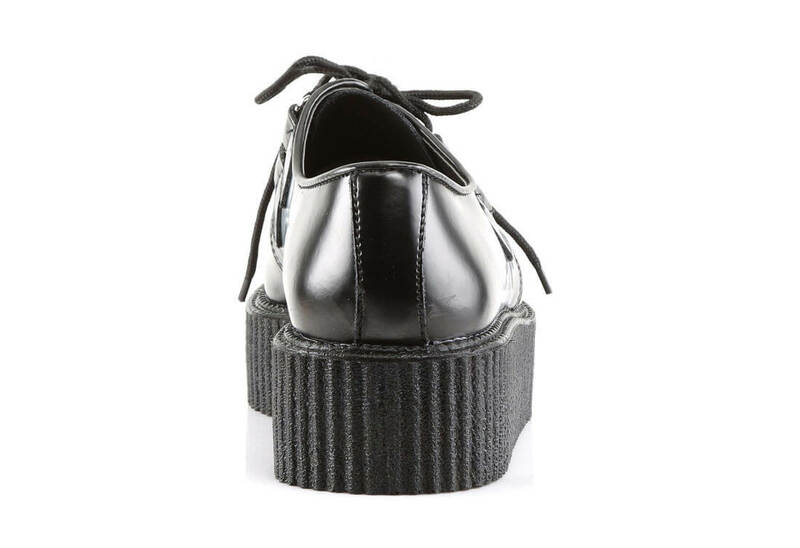 I Bought the Black Leather Creepers #402. I highly recommend it to others. My expectations were exceeded with this purchase. 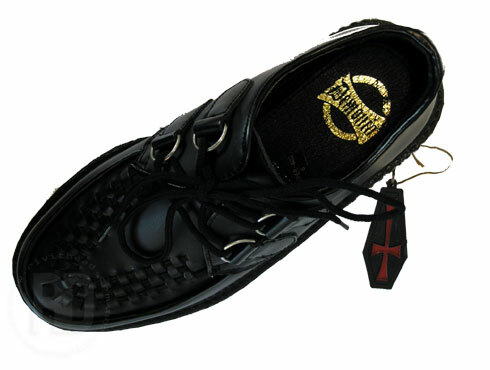 Great quality, fast shipping and excellent customer service at Rivithead guarantees my return business. Go to buy them in blindness. 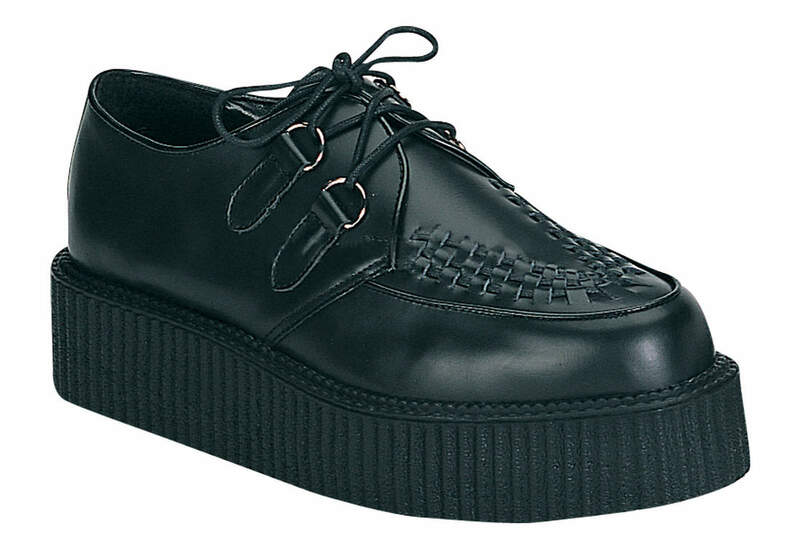 I'm very happy to have this model of creeper now, cuz quality is very good, black color is amazing.